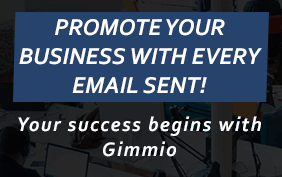 Once you are ready to set up your email signature, open Postbox. 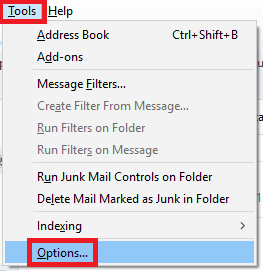 From the top menu, click on Tools and then Options. From the left menu, select Identity. 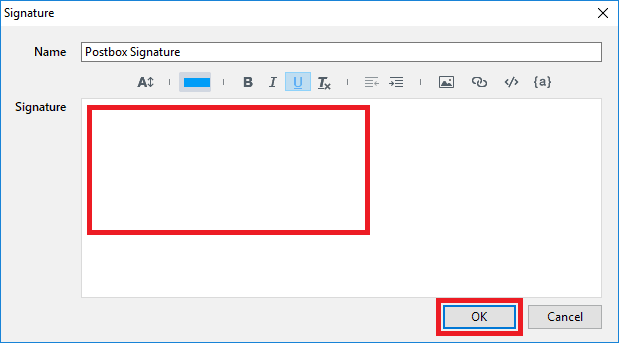 On the right, select Postbox Signature and click the Edit button next to it. 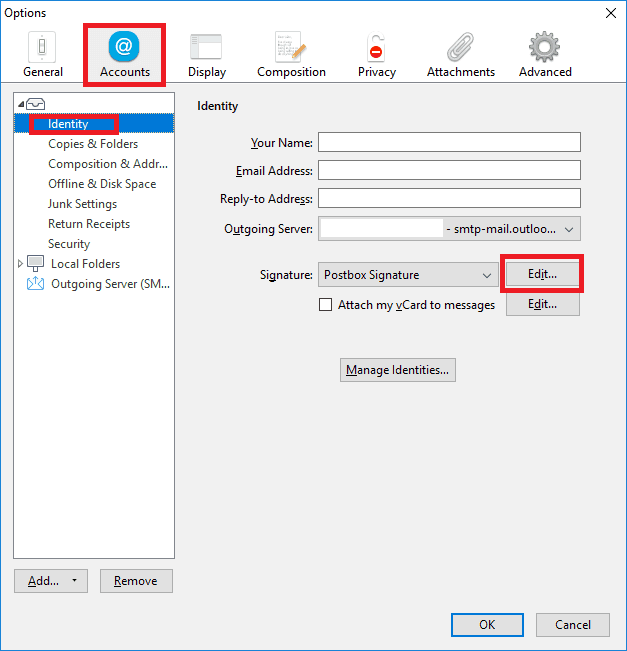 Delete the default message that is in the text box and paste your email signature into it. Once you are done, click OK.